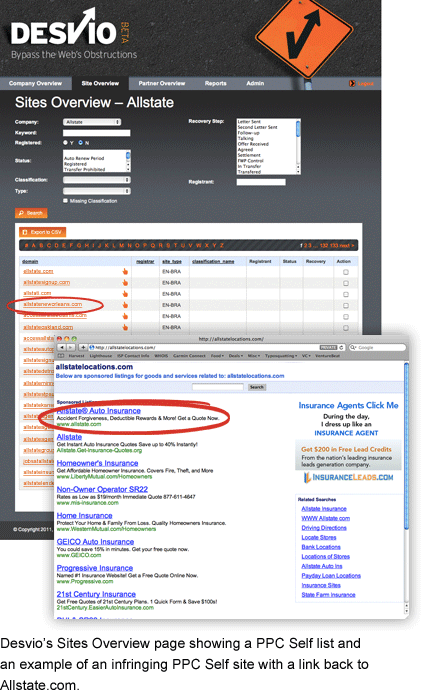 How many typosquatted Web sites are hosting your Google and Yahoo ads? Desvio reveals them so you can block your ads from being displayed on fraudulent Web sites. Typosquatters use your Google and Yahoo ads to drive traffic back to your site, wasting your ad spend. Desvio tells you which sites are stealing your advertising dollars so you can block access to them.